This was a rough winter to move back to the east coast, and Greg and I did hit a point where we had to escape for a bit. Our anniversary happens to be in the middle of the winter, so we took that excuse to get out of town. We got married in Medellin, Colombia, and we decided to revisit the scene of the crime. 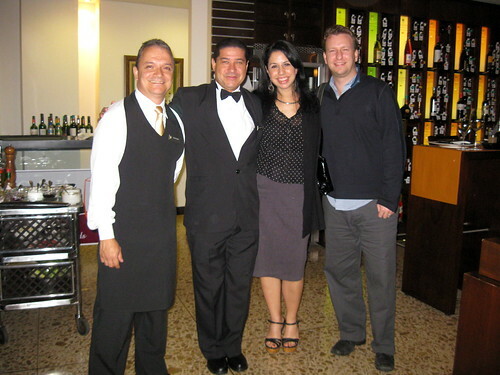 A few years ago, they added a small wine bar, La Cava. 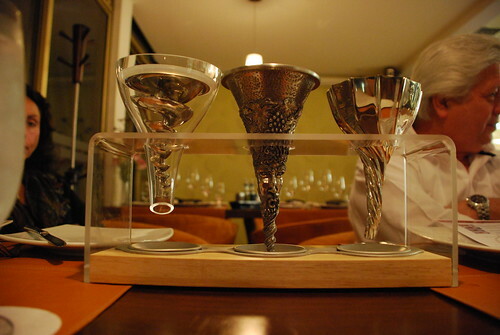 It is small, intimate, and modern and has fantastic service, which might include a tableside wine aeration presentation to ensure your wine has optimal flavor. In addition to the lovely wine service, they also offer a seasonal, four-course tasting menu. The “creations” on the tasting menu represent more creative and experimental dishes than you’ll find at the hotel’s other restaurants (which have delicious offerings, nonetheless.) As with a lot of experimental menus, there are hits a misses. Among our selections on our last trip, Greg ordered a beef rib terrine in which the flavors just didn’t quite come together – sweet and savory notes were unbalanced and competing with each other with a slightly funky result. There was also an octopus dish that was slightly overcooked, but had lovely flavor. The pluses, however, by far out weighed the minuses. I had a beautiful tomato soup with prawns topped with a crispy cornbread crostini, and a delicately flavored black dab cooked in squid ink and topped with tomatoes and avocado. 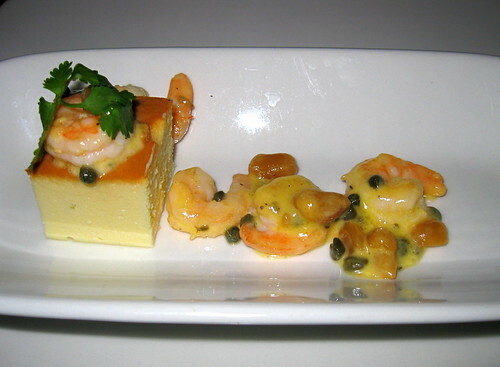 I most enjoyed a dish of shrimp sautéed in butter and garlic with a creamy cheese pudding. 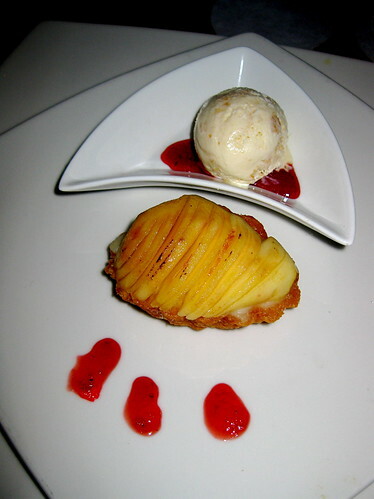 My pear tart dessert was also quite delicious. 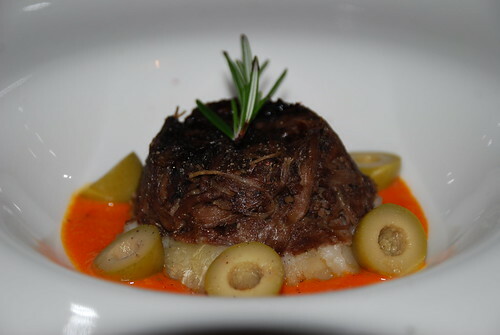 Overall, we’ve always had wonderful experiences at La Cava, and the most surprising part is that the four course menu (which also includes a couple of palate cleansers) comes out to about $25 USD. For an extra treat, the restaurant also offers a tableside salad preparation. The Serrana Salad includes just about everything but the kitchen sink, but results in an umami-filled mélange. In the following video, our waiter, the most wonderful Rodrigo, demonstrates the preparation. Serrana Salad Presentation at the InterContinental Medellin from Nicole Ruiz Hudson on Vimeo. Read about previous trips here and here.